Talk to many on both the political “right” and “left” and, despite their ideological differences, one thing holds them uncomfortably close: cynicism. Indeed, perhaps the only thing really separating the two camps is precisely what one should be cynical about (though it often turns out that they are cynical about the same things for different reasons). Cynicism seems like a reasonable and even responsible option in a time such as ours, a time fraught with reminders of institutional racism, behind-closed-door war crimes, and the seeming impossibility of honest politics. Indeed, as Peter Sloterdijk says, cynicism “is the universally widespread way in which enlightened people see to it that they are not taken for suckers” (Critique of Cynical Reason, 5). Maybe there really is nothing new under the sun; we might as well recognize it and get on with our lives, with at least our dignity intact. But while cynicism is reasonable and understandable, it manifests as an impulse of self-preservation and defense. Perhaps we can’t really change anything, so the cynic thinks, but at least we can know what’s really going on! This sentiment comes at a price, however--what appears to be a modest victory against ideology (the knowledge that ideology is at work) is in fact a debilitating defeat. Cynicism forces us into a reactionary and pessimistic disposition characterized by fatalism. We continue to work, consume, and live in the same way we did yesterday, despite the fact that we know there is a mountain of problems with yesterday’s “news.” As Sloterdijk puts it, “[cynics] know what they are doing, but they do it because, in the short run, the force of circumstances and the instinct for self-preservation are speaking the same language, and they are telling them it has to be so. Others would do it anyway, perhaps worse” (CCR, 5). Thus what might on first glance seem like a defiant cry of protest (“you can’t fool us!”) is actually a means of submitting to and even continuing the status quo, defeated and dejected. Perhaps the most difficult thing about cynicism is how reasonable it really is. We just learned that the US government is willing to anally force-feed its prisoners for “reliable information” it’s statistically unlikely to get via torture in the first place (and it’s not clear what’s more troubling: the fact that this happened or that among the multitude of redactions in the Senate’s torture report this was allowed to be retained). Right before that a Grand Jury decided there wasn’t enough evidence to take a white police officer to trial after a video showed him clearly using excessive force leading to the death of a black civilian (the man who shot the video, however, was indicted). In the face of such revelations, while some protest and rage, many (including myself) engage in unofficial competitions for the wittiest critique of such ridiculous and atrocious happenings at parties or in 140 characters or less on the internet. Things don’t look like they’re going to change. These “revelations” seem less and less revelatory, less surprising. If cynicism is a powerless recognition of a closed system of reality, the question becomes: how does one find the seeds of something new? How does one break the spellbinding hold of cynicism? It’s in the Christmas season that I’ve found some clarity. During Advent, which inaugurated a new Church year, we imagined ourselves in the time and place of first-century oppressed persons, who had every reason to be as cynical as us. An occupied country, looming infanticide, the crumbling of tradition, the glorification of violence, sexism, and racism--it’s no wonder the New Testament is full of people unwilling to believe the miracles or radical messages of Jesus. But in the midst of this, an angel appears to a young girl and announces she is with child, and she bursts forth with a song about the rich being made low and the poor being raised up. Wise men come to acknowledge the sovereignty not of jealous Herods but of a vulnerable baby, not even strong enough to hold up his own head. In the supposedly closed circle of self-deifying power regimes something reveals that the circle is in fact broken. The nativity of Christ bursts, too, through the hardened shells of cynicism. Christmas, celebrated after a period of anticipation and (Mary's) labor, announces that God is doing something new, that torture, racism, and the constant state of emergency don’t have the last word. The Incarnation in the Christian tradition, celebrated at Epiphany at the end of the twelve days of Christmas, is the affirmation that something new and beautiful can break into the world. It simultaneously affirms the most common, everyday occurrences in human life, the dirty stable and the natural birth of human beings, and the most radically Other, God coming to dwell in God’s own creation. God’s Incarnation is a call to God’s people to stop thinking with the logic of the world, to stop being mastered by its posturing as an inevitability, and instead to be transformed by the re-newing of their minds--in short, to make something of the gift that they are and to respond to God’s call to participate in the redemption of the world. The energy emanating from the face of a baby in a manger gives us the courage to say no to torture and no to racism, and, more importantly, to say yes to another possible future, a future built on a sovereignty expressed in weakness. It breaks through as a crack of light between dark headlines. Tapping into it is a way to not be taken for suckers, instead creating a reality other than our own rather than resisting by a defensive cynicism. While the world’s powers tremble in fear and defense, God offers the possibility of dancing in courage and creativity. 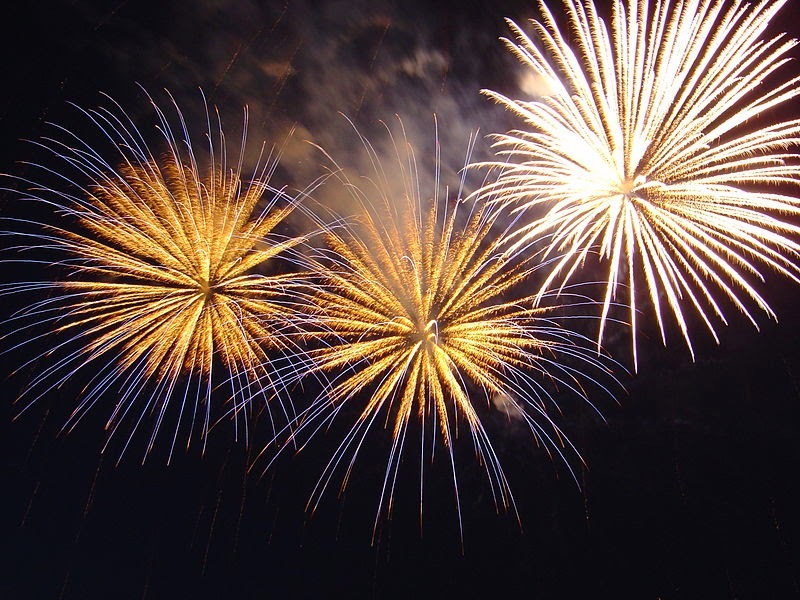 God’s birth allows cynics of the Old Year to be reborn as disciples in the truly New Year. Dean Dettloff is a Junior Member at the Institute for Christian Studies, pursuing an MA Philosophy, where he is working on a thesis examining cynicism and creative action. First image used from wikipedia, in the Public Domain. 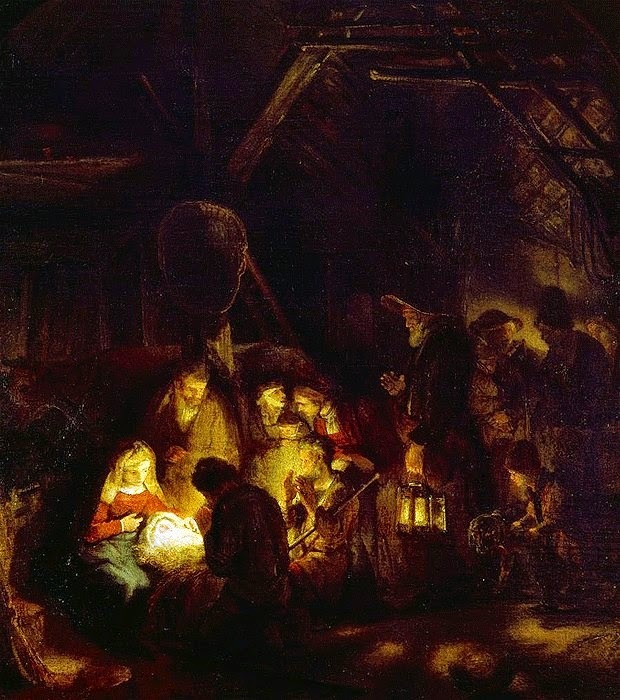 Second image used is Rembrandt's Adoration of the Shepherds, also in the Public Domain. Of late I'm more troubled by the extreme polarisation of our good neighbours to the south than I am by any single issue that they face or embody, and cynicism seems to play an immense role in that. Cynicism gives one licence to dismiss any person, any group of people, or any topic, without ever needing to actually reason or negotiate with anyone. I am reminded of what Dr. Frank-N-Furter said to Magenta, when she said "I ask for nothing, Master": "and you shall receive it, in abundance." Cynicism is a kind of lowering expectations to zero. I join you in your hope that people can be reminded that they are capable of rising above it. In my own less cynical moments, I actually believe that it is possible. Thanks for the reminder! Thanks a lot, DZ. I like what you have to say about cynicism giving people a license to dismiss without any dialogue or charity. It's a problem I'm still rooting out of myself--especially tough for "know-it-all" philosophers!